Hey Girls! Lots of catching up to do today. I've been away on a little break, but if you follow me on Instagram, then you know I haven't been too hard to reach. I wanted to share some Instagram photos and some unshared photos to catch you up on a little of what's been happening in my world. Then I thought I'd fill you in on a special collaboration with one of my favorite brands that will be going live today. I took somewhat of an extended break partially because I've been planning and creating new content for the expansion of the Kelley With Love brand. I'm trying to get a batch of blog posts done now because I have some special goals and projects in the new year that will require a lot of my focus. I've been really enjoying life lately and even indulging a little. It's really good for the soul. With the holidays and holiday sales all happening at once, I'm make sure to treat myself just a little. If you follow me on Instagram you know that one of my not so guilty pleasures is donuts! Terry and I sometimes go to Dunkin Donuts to get my favorite, strawberry frosted donuts with sprinkles. Yum! These are probably my favorite pair of shoes right now. One, because they speak to my inner ballerina. Two, because they are super comfortable. These are by Jessica Simpson. I love her shoes so much because they look good and I can actually wear them for longer than an hour with no discomfort which is a major win. I'm a huge fan of Kate Spade. 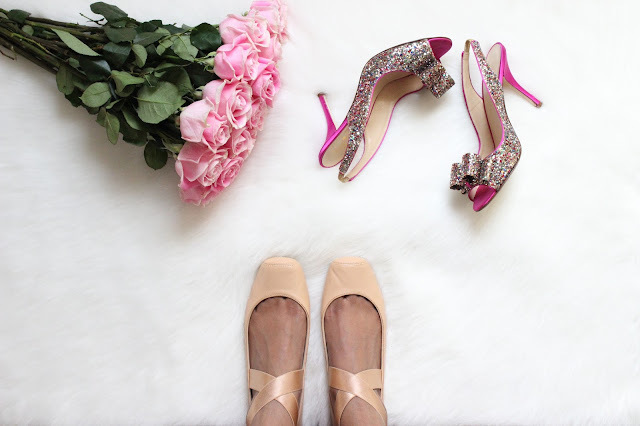 In fact, my husband got me THE most gorgeous Kate Spade wedding shoes (the ones I'm not wearing in the photo above). We live in South Carolina so every time we go to Charleston, SC I make sure to stop by Kate Spade. I went earlier this fall and as luck would have it I was able to pick up these beauties. They were out of my size last year so needless to say I had them wrap them up as soon as I laid eyes on them. I'm a huge fan of flowy clothing. It makes me feel whimsical and mysterious. 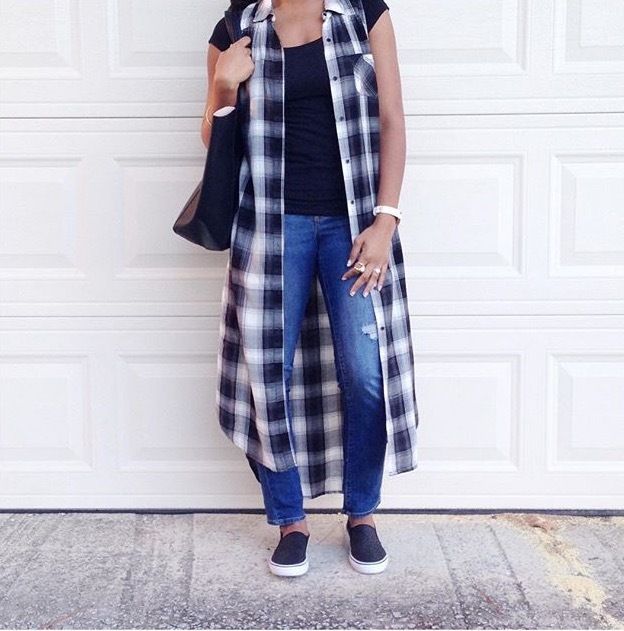 I found this long vest a Target. I haven't gotten a chance to wear it as much as I'd like, but more outfits are being planned as you read this. 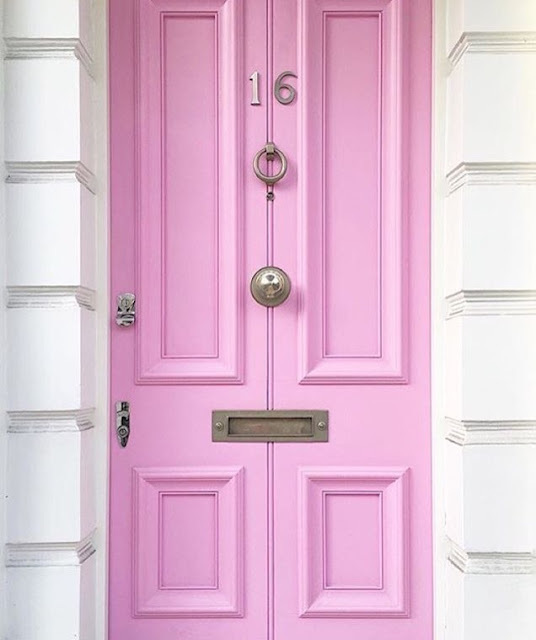 As we start to plan for our own home I can't help but cross my fingers that I can get away with at least one pink door. Now this may or may not happen, but hey a girl can dream. Even if I can't have my very own pink door, there are plenty on Instagram to keep me satisfied. 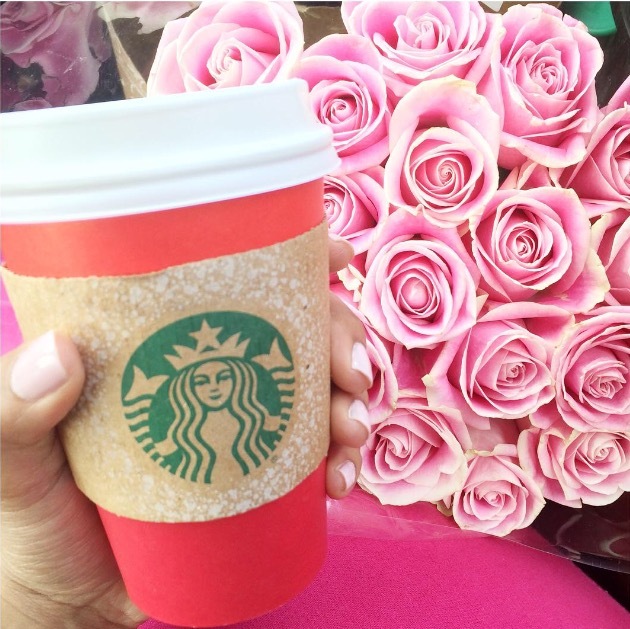 It's red cup season at Starbucks, need I say more? I love getting the Caramel Brûlée Latt, it's all kinds of yummy in a cup. Oh, and look at these beautiful pink roses. I'm always on the hunt for gorgeous flowers. I picked these up at Trader Joes! I'm convinced having a Christmas tree and pink roses in the same room is an instant mood booster. 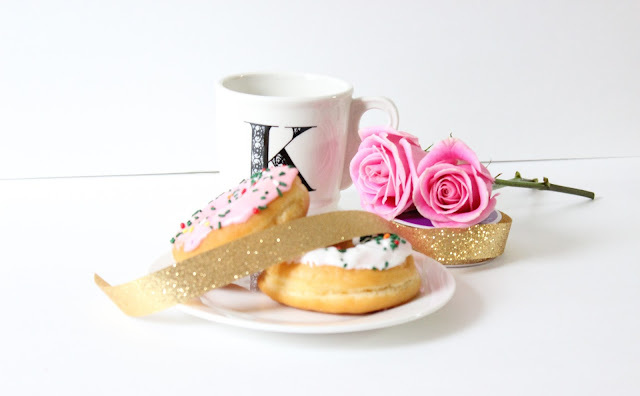 Now, before I go, I'm so excited to announce that a special post that I created for Best Friends For Frosting will debut today! I'll be back to add the link as soon as it's live!